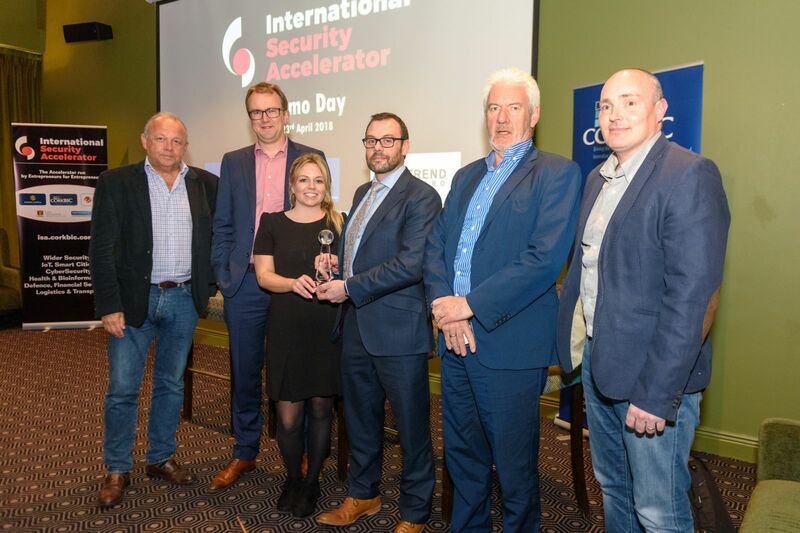 23 April 2018: Ireland’s first Security Accelerator welcomed Investors, VCs and Seasoned Entrepreneurs to Cork for Demo Day where the Accelerator Teams pitched for investment. The Accelerator teams are looking to employ up to 40 people before the end of this year and raise over €5 million in investment. The Accelerator is supported by key funding partners Kernel Capital and Trend Micro. Following 13 weeks of intensive mentoring and in-depth workshops with a focus on the team, technology, business model, market opportunity and investor readiness, the Teams are currently seeking investment in their businesses. World class mentors like Julian Costley, Investor & Serial Entrepreneur; Eamonn Carey, TechStars; Joe O’Sullivan, Ophir (formerly Apple) and Ronan Murphy, Smarttech have challenged and advised the teams sharing their experience. Key to this Accelerator is the focus on team, the product proposition and the transformational process and change that has transpired in some of the teams. Each of the teams have brought product to market during the 13 weeks, with one team, Altada, already securing international Enterprise clients. CorkBIC is a private-sector led organisation, specifically set up to identify and build knowledge intensive companies based on promising technology and capable innovative people. It plays a hands-on role helping entrepreneurs navigate the minefield of raising finance, sorting out business propositions, arranging agreements with shareholders and investors, and, perhaps most important of all, finding customers. Over the past 25+ years CorkBIC has worked with nearly 500 startups and is part of a network of 200+ BICs throughout Europe, called The European Business & Innovation Centre Network (EBN). CorkBIC is also a very active member of EBAN - The European Trade Association for Business Angels, Seed Funds and Early Stage Market Players.